WELCOME TO AN EXTRAORDINARY COMMUNITY WHERE PEOPLE THRIVE. Thriving begins with choices and East Village Place is full of them. It’s part of what makes choosing to live here so easy. With spacious one-bedroom and gorgeous two-bedroom suites, we have options to fit every lifestyle. Residents are free to design their own lives and we provide plenty of options to enrich the experience. Take dining, for example. Our menus are never boring and feature an option for every appetite. When it comes to wellness, the choices are endless. Watermark University features free on site classes with a course catalog promoting mind and body fitness, from Chair Dancing and Zumba to Plant Connections and Fads and Fashions. Residents, associates and guests are all encouraged to take a class — or teach one! Since we can all use a helping hand now and then, East Village Place delivers whatever residents may need, upon request, right to their door. If assistance is desired, it’s available and affordable in our assisted living and two memory care neighborhoods. Our Place is ideal for seniors who are just beginning to experience issues related to memory loss. Pathways offers a safe, secure environment with a higher level of memory care services. 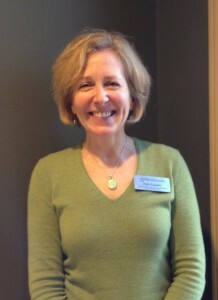 Pam Skiba, Executive Director, has been at the helm of East Village Place for more than a decade. She is a Certified Dementia Practitioner with over 20 years of nursing experience specializing in mental health. Pam strives to provide residents and their families the highest quality care and customer service in a warm, inviting, accepting environment. Her priority is making East Village Place the community that all others should be measured against. 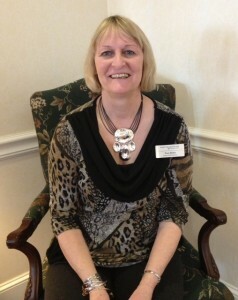 In her spare time Pam enjoys spending time with her grandchildren, ballroom dancing, oil painting and playing the piano. 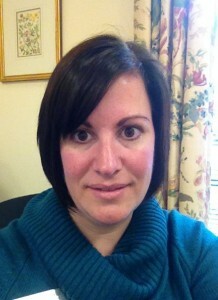 Jessica has been the Director of Marketing at East Village Place since 2005. She holds a bachelor’s degree in Consumer Studies from The University of Massachusetts, Amherst. Jessica has enjoyed her work in senior living since college and has a compassionate and enthusiastic spark for guiding families through their various options. She grew up only miles from the community and her roots are still firmly planted in Western Massachusetts. Raising three young children together with her husband in neighboring Longmeadow, Jessica enjoys getting outdoors, traveling and spending time with family and friends. As Dining Service Director and Executive Chef, Jeff brings over 35 years of local restaurant and hotel experience to residents of East Village Place. Having trained with Marriott and Sheraton as well as Watermark, Jeff knows how to create menus and weekly features that have a hearty, home cooked taste that families love sharing at the dinner table every night. In his spare time, Jeff enjoys spending time with his wife of 20 years and their two children, rooting for Boston sports teams, restoring Mopar Muscle Cars and hitting the links for 18 holes with his brothers and friends on Sundays. 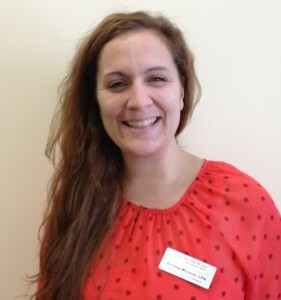 A Certified Activities Director as well as a Certified Dementia Practitioner, Dee has served as Community Life Director at East Village Place since 2006. Prior to joining East Village Place, Dee gained valuable experience working as a customer service professional in the insurance industry and later as a Certified Nursing Assistant. She loves coming to work each day and residents enjoy her popular Watermark University classes, Traveling with Dee and Surfing Linked Senior. “It is pure joy to watch residents thrive by participating in our many unique programs,” she says. As the Business Office Manager at East Village Place, Patti brings over 25 years of experience in Administration and Human Resources. 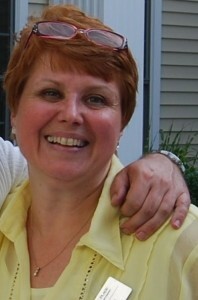 Her transition from working in a corporate office setting to a smaller residential community has been a welcome bonus. When changing careers, she was pleasantly surprised to find she would be interacting with residents daily and has found this to be one of the highlights of her work day. Off duty, Patti enjoys cooking, skiing, kayaking, cheering on UCONN Women’s Basketball and spending time with family and friends. 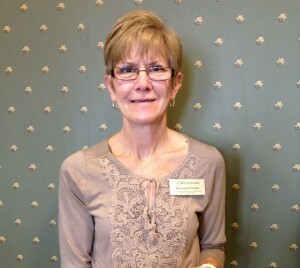 A nurse since the age of 19, Annalee has served as Memory Care Coordinator at East Village Place for more than 10 years. As a Certified Dementia Practitioner, she works closely with residents and their families to establish individualized care plans. She also leads a monthly support group. “I enjoy guiding family members who are coping with the challenges and triumphs of caring for a loved one with Alzheimer’s or other dementia. 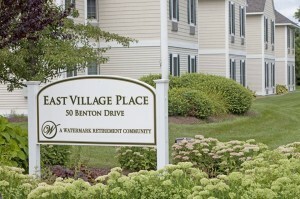 I’m able to let families know that what they are experiencing is normal.” In her spare time, Annalee loves to be with animals and work on her old farm house in Suffield, CT.
Director of Maintenance at East Village Place for more than nine years, Bob has over 25 years of facility management experience in the manufacturing, service and senior living industries. What makes his job truly great is the resident relationships. Everyone is like family. 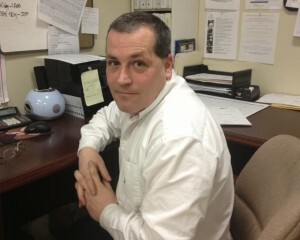 Bob is a lifelong resident of East Longmeadow and lives nearby with his wife and two children. 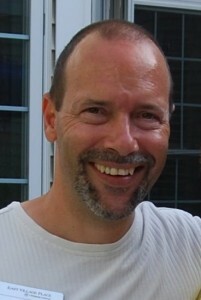 An avid Boston sports fan, Bob enjoys spending time with family and friends watching the games, traveling and skiing. Resident Care Director Maryanne Fesko is a Licensed Practical Nurse and Certified Dementia Practitioner with over 20 years of experience in Assisted Living, Long Term Care and hospital settings. 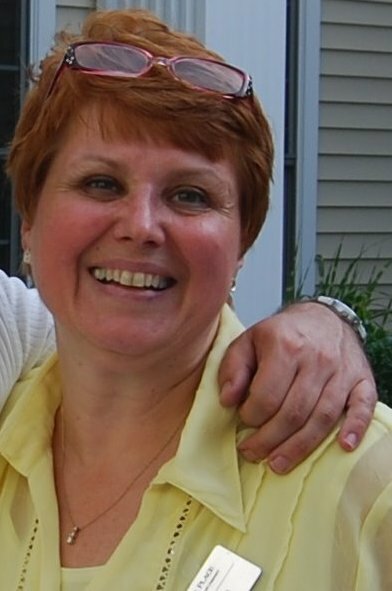 Having worked at East Village Place for more than five years, Maryanne prides herself on creating individualized care plans for residents which allow them to maximize their strengths and enhance their daily independence. Maryanne, who lives locally with her husband, has raised three children and loves spending time with her four grandchildren.